OCT - Optical Coherence Tomography is an advanced eye scan. It is similar to an ultrasound. The OCT uses light rather than sound waves to illustrate the different layers that make up the back of your eye. The OCT machine captures both a fundus photograph and a cross-sectional scan of the back of the eye at the same time. 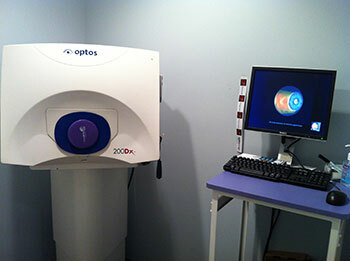 OPTOMAP - It allows the optometrist an ultra-wide 200 degree view of retina. 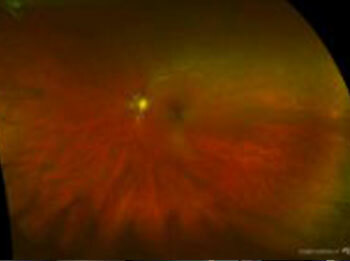 It provides a permanent record of the condition of your retina. 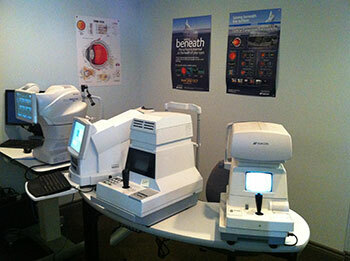 The optometrist will compare your images side by side to reveal any subtle changes to your eye health.